Is Active Management Generating Market Alpha Anymore? The S&P Dow Jones Indices, LLC publishes a tabulation of Active versus Passive Investment Management performance twice a year. According to this scorecard, 66 % of all large-cap managers underperformed the S&P 500 benchmark during 2015 on a relative basis. Over a longer horizon of 5-and-10-years, the active managers underperformed even more so, in a range of 82%-84%. The subset data changes for different styles of investment, like growth and value. The scorecard gets even worse for small-cap stocks. In 2015, over 72% of active small-cap funds lagged the benchmark S&P Small Cap 600 index. 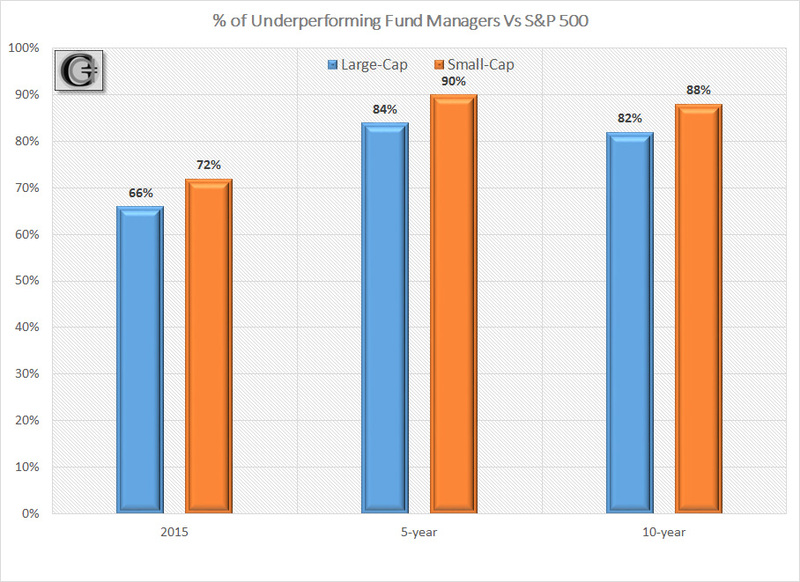 And similar to their peers in large cap active management, the small-cap managers performed worse over longer time horizons, with 88%-90% underperforming. This is not an anomaly, with similar underperformance recorded in prior years. There is an ever-shrinking subset of active managers that outperform during short periods. But even such a group shifts towards extinction when the time horizon is extended. High fees is just one part contributing to the underperformance or alpha drag, along with other reasons like reversion to mean and behavioral biases. One thing is clear. Evidence proves that it is very hard to consistently identify sustainable alpha over time with active management. "…respect for evidence compels me to incline toward the hypothesis that most [active management] portfolio decision-makers should go out of business." While there is a preponderance of evidence emphasizing the highly difficult task for active-management to compete with passive investment strategies, some of the shortcomings of active-management can be addressed through systematic, model-based investing, which can materially outperform both active and passive investment strategies over time. A systematic investing approach is a disciplined framework of investing that uses the strength of active management in some measure, primarily the analytical, evidence-based thought processes, by incorporating them into its rules-based quantitative models, while to some extent also reducing costs, like in passive management, by systematically investing over a period of time. Furthermore, systematic investing dismisses many of the behavioral biases inherent in active management, which contribute towards performance inconsistencies. Systematic model-driven investing, underpinned by behavioral finance, positions itself to deliver affordable and relatively more consistent alpha, with a higher probability of outperforming both active and passive management strategies over time horizons. Systematic investment strategies pursue an evidence-based methodology, where models are built incorporating quantitative factors, like momentum and volatility, to raise the probability of a desired investment outcome. Once the various analytical rules are developed and the strategy successfully tested and determined to be robust with regards to risk parameters, the hard job is to stick to the strategy without constant intervention, thus minimizing complex investor biases that adversely affect results as is shown by a large body of behavioral finance literature. "...if you're going to trade using models, just slavishly use the models. You do whatever the hell it says no matter how you feel about it in the moment." The reason to stick to the selected models is to avoid the behavioral tendencies that emerge under various market situations when investors intervene as "experts" in the models output. On a platform like Seeking Alpha, individual investors have been provided a unique opportunity to engage in a rich initiation and discussion of a wide spectrum of investing ideas. The diverse viewpoints contribute towards making the overall picture brighter. Undoubtedly, the process of active investment management by individual investors has been enriched and even spurred by the sharing of ideas on Seeking Alpha's community platform. At the same time, individual investors who actively manage their portfolios should be aware that even storied money managers are unable to sustain a consistent level of market-beating performance over time. Active managers of the stature of Bill Miller of Legg Mason Miller, whose Value Trust Fund we invested in for many years, outperformed the S&P 500 from 1990 to 2005, but much of the returns were offset by a period of significant underperformance over the next 7 years, thus resulting in risk-adjusted returns that barely outperformed the S&P500. While active management over time has documented drawbacks, the Seeking Alpha platform has also equipped investors with greater awareness and understanding of various portfolio investment strategies that exist. 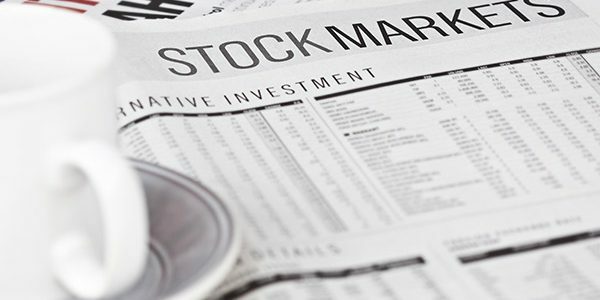 In this context, passive and active management strategies have their strengths, but at the same time investors should consider if their investment goals can be better served, based on their situation, by allocating a portion of their portfolios towards specific model-driven strategies. In future articles we hope to continue providing coverage on systematic investing, and contribute towards shining a spotlight on this portfolio strategy, which over the years has garnered growing interest even in the highly-charged, alpha-seeking world of hedge fund investing.